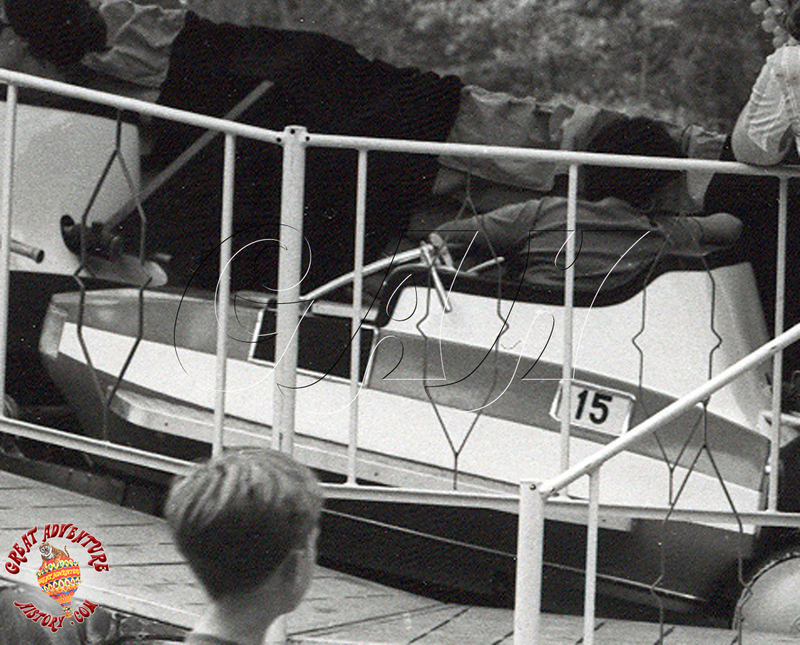 Caterpillar rides were one of the traditional amusement park rides, with many older parks featuring these rides that offered a mild thrill, but then added the cover of darkness during the ride cycle. 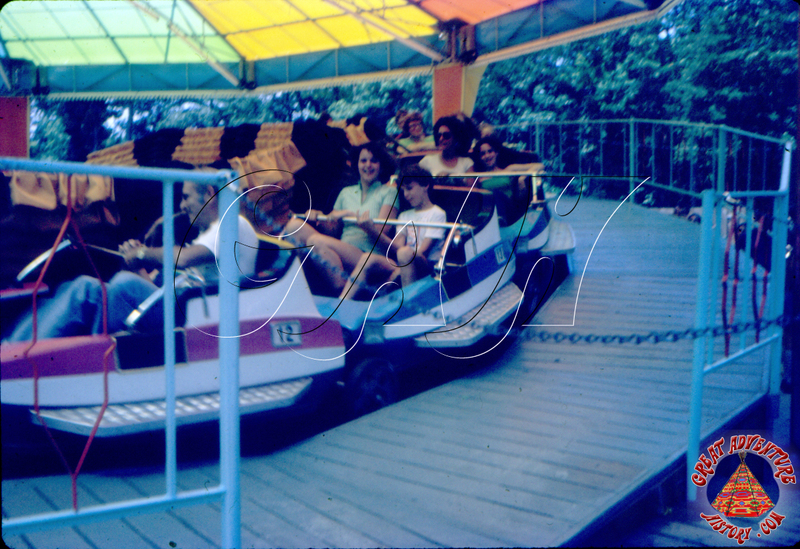 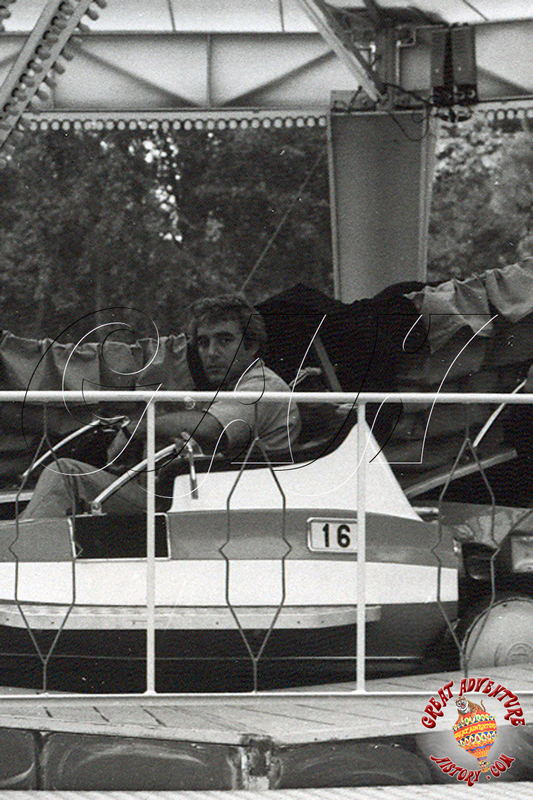 These rides were popular for several decades until the "modern" rides from the European manufacturers started to dominate the industry. 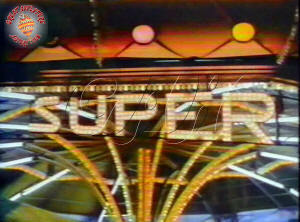 The Super Cat was the creation of a European manufacturer modernizing the design. 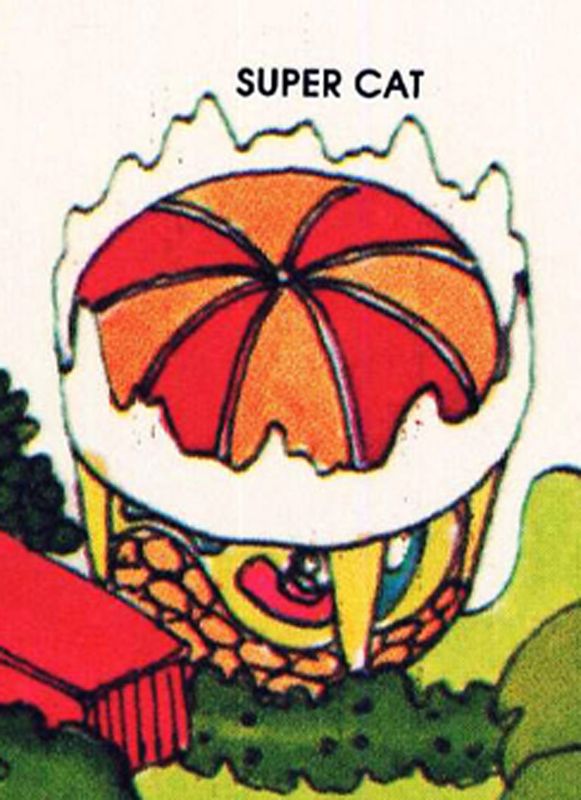 Great Adventure's Super Cat ride was manufactured by Mack as a variation on their Musik Express ride with the twist of the retractable canopies of a traditional caterpillar ride. 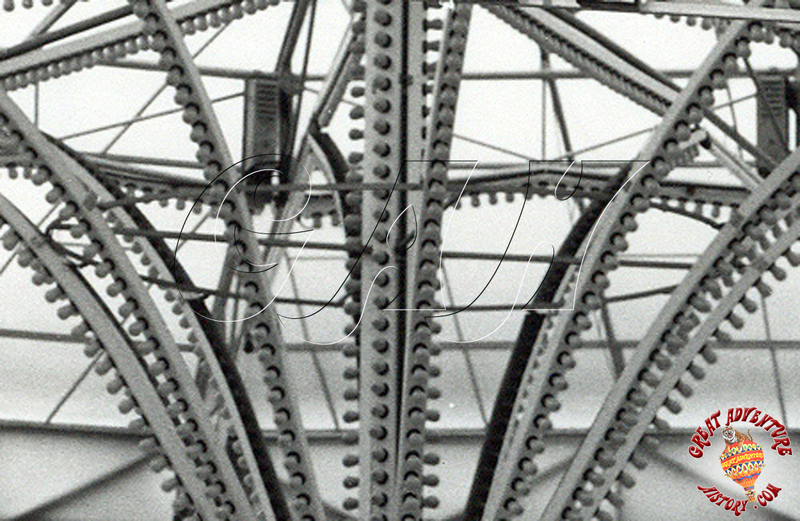 Like a Musik Express ride the ride vehicles speed around an undulating circular track, but with the canopies coming up and covering the cars in the ride cycle then retracting. The canopies lent the added thrill of darkness, which also added a romantic aspect to the ride as couples got a private moment under the hood. 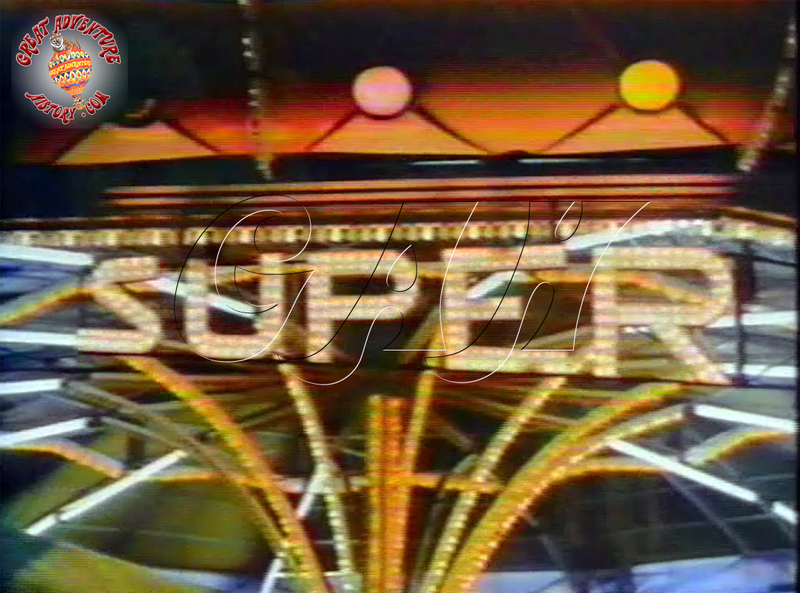 Super Cat was introduced midway through the 1975 season as a replacement for the Jumbo Jet roller coaster which had been part of the new Fun Fair section that had debuted that spring. 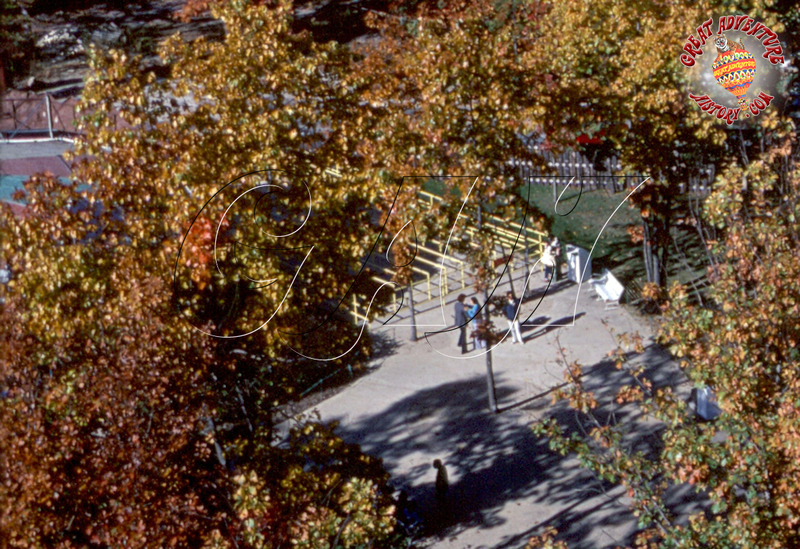 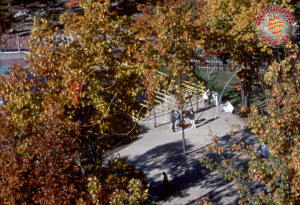 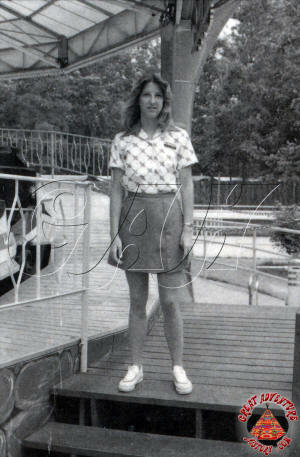 The Super Cat was at the park for several seasons, though for some reason was rarely photographed. Few pictures of the ride seem to exist, but it was briefly featured in Great Adventure's "Magic 'til Midnight" commercials. 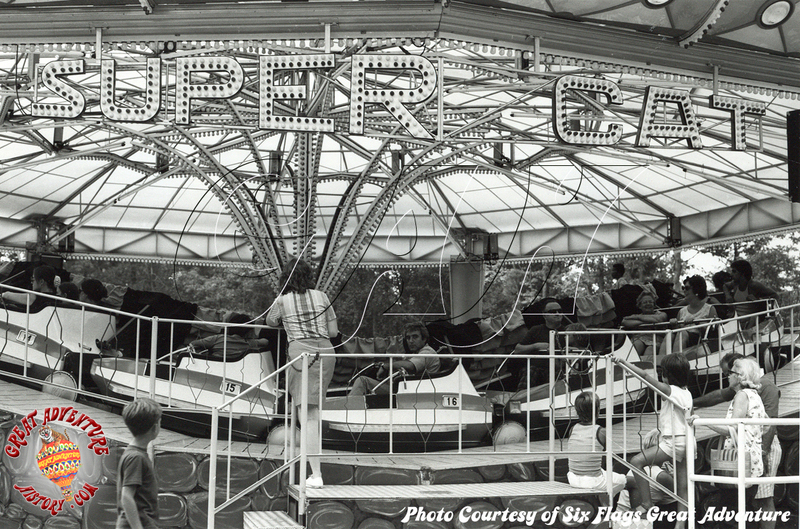 The Super Cat was replaced with the Tilt-A-Whirl ride for the 1979 season. 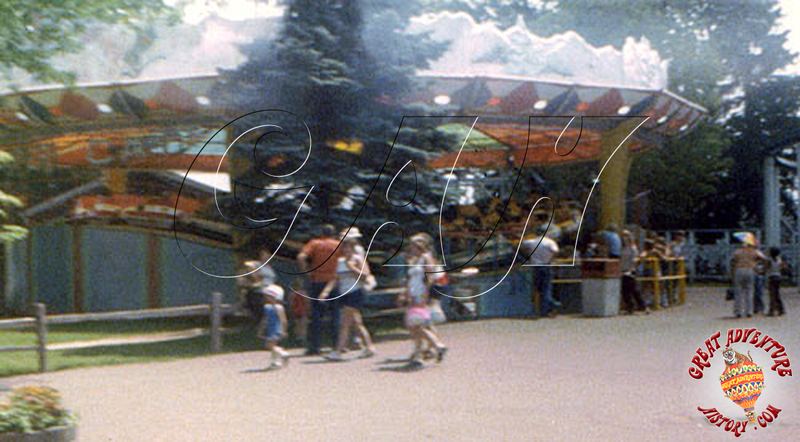 The photo to the right is an identical model of Great Adventure's Super Cat ride at an unknown park. 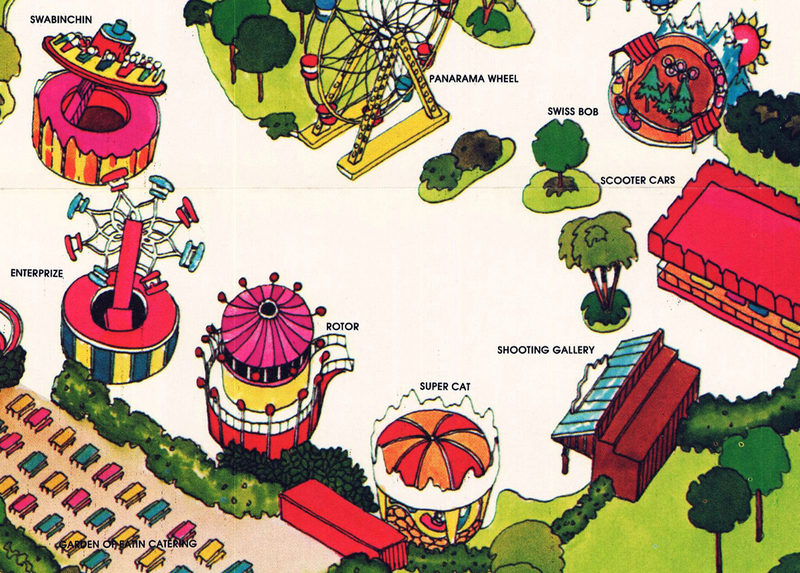 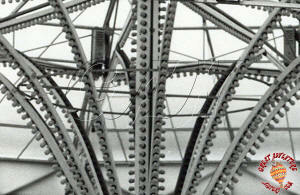 Note how the sketched version from the 1976 park map (top right) accurately captures the features of the ride structure.